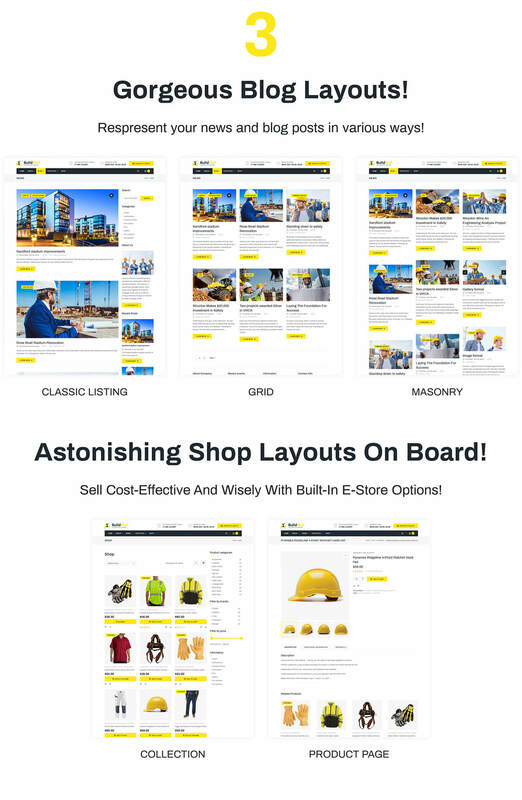 &laquo;BuildWall&raquo; is a great theme for WordPress. It has all necessary pages out of the box, including very effective portfolio. 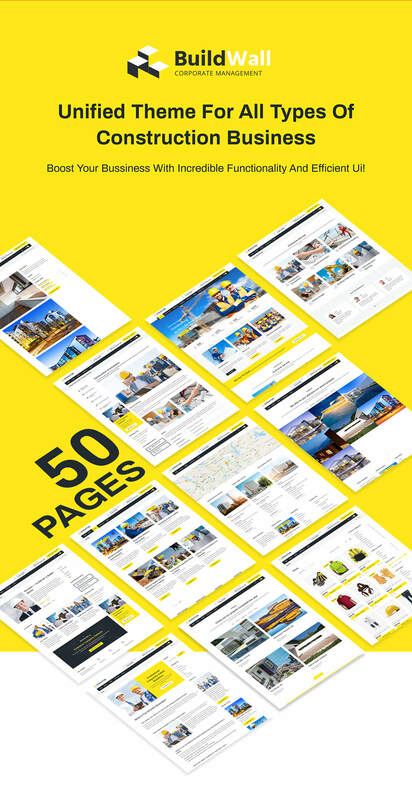 Great amount of content may be used for real site or, at least, it represents good example for futher development. 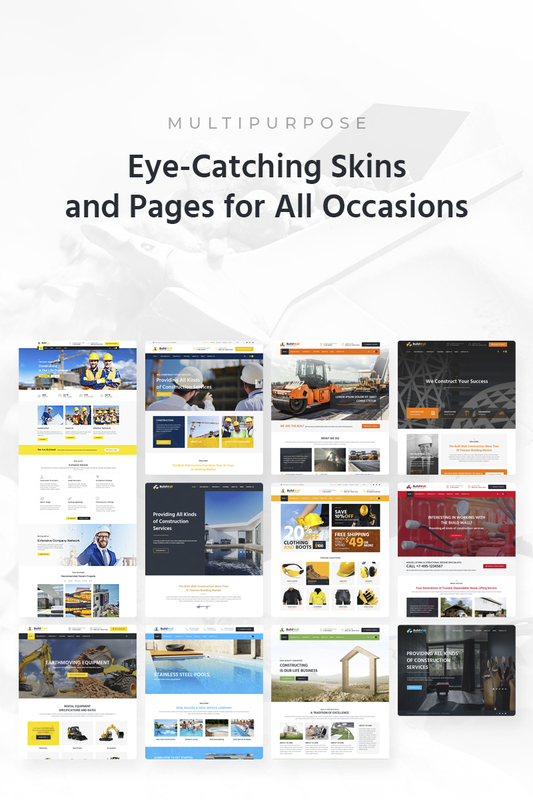 There is a wide variety of templates almost for any site page, so you may choose the best look for the home page and the inner pages. Thanks to advanced Elementor editor, all the content can be changed in several minutes. So far, the only thing that leaves much to be desired is the limited choice of icons for the &laquo;Services&raquo; page. 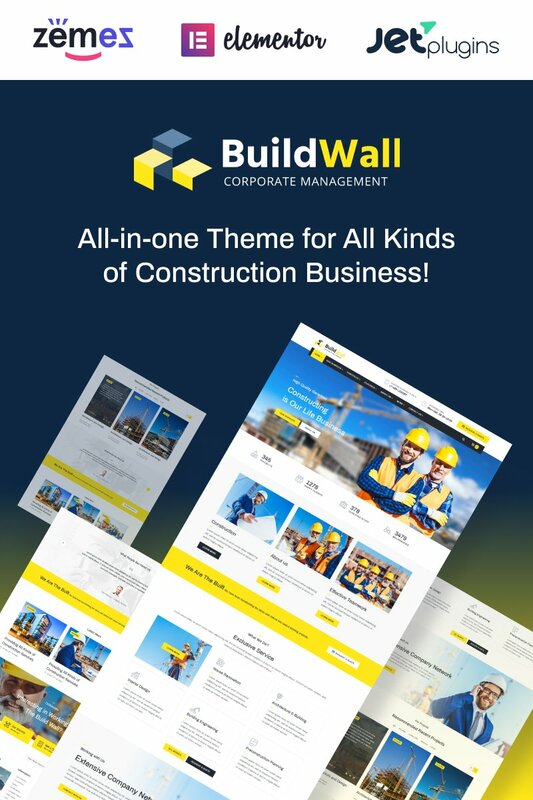 All in all, BuildWall is a good choice for construction or engineering company. Why not 5*? I absolutely satisfied with the installation process but there are few things you have to know: 1. This template is really heavy (absolutely not ready for using on slow servers,vps,some of shared hostings, etc.). 2. There are few plugin updates that makes this template too slow. Don&#039;t hurry with all plugin updates! 3. I wasn&#039;t able to upload the theme (installed it maually), but that&#039;s not a problem for me in this case. Just want you to be prepared for some inconvinience. 4. I can&#039;t change internal demos. I mean, if I import one of demo data - that&#039;s all. To change demo from one to another I have to install all from begin: install WordPress, after it install the theme and then import another demo data. Anyway, I think this theme is pretty good. 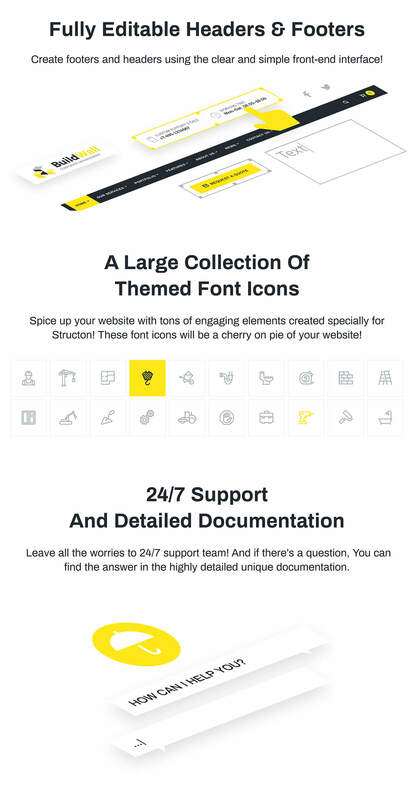 Not for begginers (I mean beginners must order technical support with this theme), but it&#039;s really beautifull and multifunctional. Thanks to developers. Great product, perfectly matched my needs! Easy to use &amp; my client really love it very much. Definitely a thumbs up buy ! 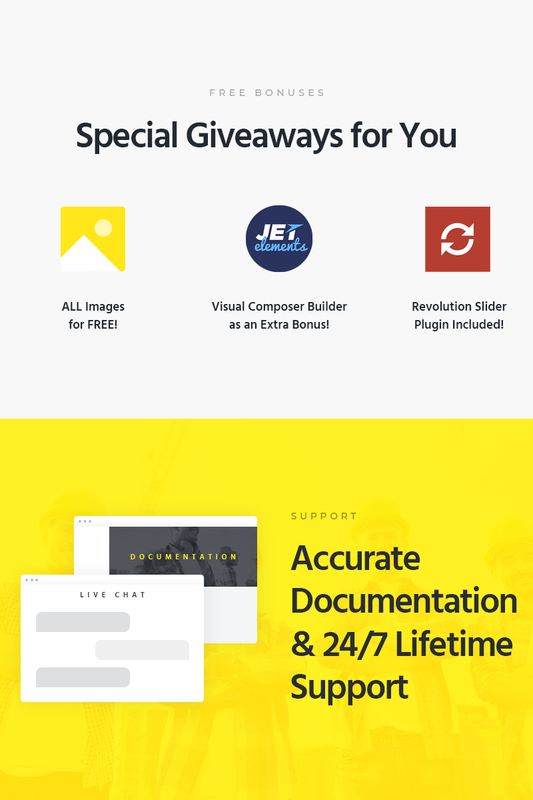 Versatile quality theme although would like the ability to custom design headers and footers and not be limited to a fixed set of parameters as set by developer. This product has lots of advanced features that give you great control over your creativity. It also comes with the Elementor plugin. And it is really easy to customize. The pattern is good, but it&#039;s hard to find many settings. Some things are far from obvious. Some of the elements to modify them, it is necessary to simultaneously change at several locations. How to change some elements, difficult to answer even support. There are small bugs in the design. I hope that they will not affect the work of the site. Buildwall has a lot (really alot!) features to use. I apreciate portfolio, which perfectly fits to clients needs. 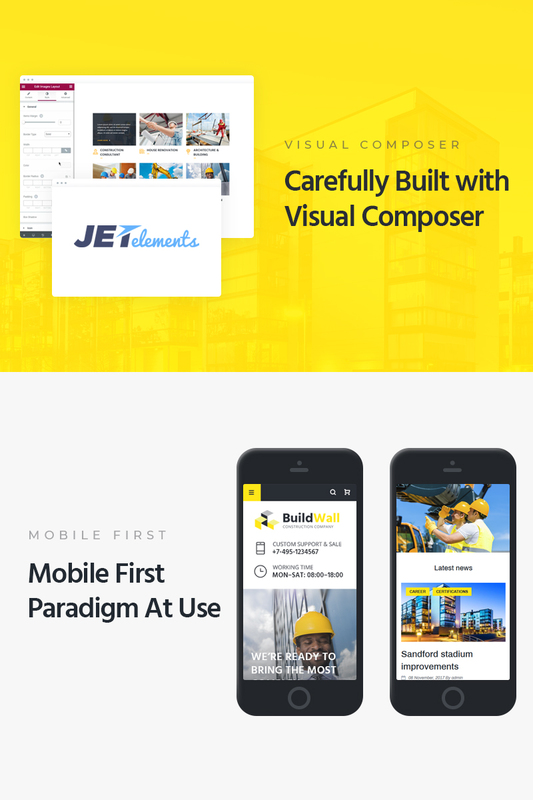 I had no issues with installing this theme or demo content, everything went right and working with theme is smooth because of elementor, which is best life editor for my clients because they can exactly see what they are doing at the moment. Master slider makes everything looks better! I also apreciate that I can switch fonts and colors, because client uses red and our native language needs Latin Extended character set. I reccomend this theme for every one who needs something easy to customize. hey you there) i can&rsquo;t install demo-content on clear WP 5.1 [Tue Mar 12 12:40:11 2019] [error] [client IP.IP.IP.IP] FastCGI: server &quot;/hsphere/local/config/php/MYSITE/php-fcgi&quot; stderr: PHP Warning: is_file(): open_basedir restriction in effect. File(..) is not within the allowed path(s): (/hsphere/shared:/hsphere/local/config/php:/tmp:/var/tmp:/var/lib/mysql:/hsphere/local/home/MYSITE) in /hsphere/local/home/MYSITE/wp-content/themes/buildwall/inc/classes/class-skins-setup.php on line 103 and have white list =) or should I contact the support ticket? I see the demo for rent equipement, is it available? Hi, is there a French translation included in the license? I see that there is an option to pay to implement the logo, what does that mean? If we don&amp;#x27;t purchase that, are we not able to change the logo/colours? Is 53591 compatible with the latest WP upgrade? I have tried several times to import the content from the advertised Ramirez site to build from and every time I get an installing error at the XML install point. The json and xml required to do this are not both found in 53591 ( I found one of them in the cherry.zip) and file names do not match exactly the names given in the tutorial. The video demonstration does not work either. Hi, can a YouTube video be embedded in the Home page somewhere? what is the ready to use website? - Updated the detailed documentation for BuildWall .